For people with alcohol excess and liver disease, successful management must be two-fold with management of both their psychological/physical addiction to alcohol and their liver disease. 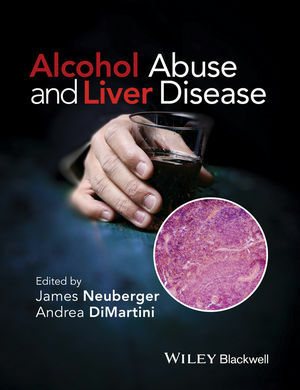 Alcohol Abuse and liver disease, with its joint focus on hepatology and psychiatry, provides both hepatologists and psychiatrists of all levels with a practical, concise and didactic guide to the investigation and clinical management of those with alcohol-related problems. James Neuberger MD, is a Consultant Hepatologist and Professor of Hepatology, Queen Elizabeth Hospital, Birmingham and Associate Medical Director at NHS Blood and Transplant. He is Editor-in-Chief of LWW's Transplantation, the journal of the Transplantation Society, and on the board of several liver and transplant journals. He has 295 articles listed on PubMed. Andrea DiMartini is Associate Professor of Psychiatry and Surgery in the Department of Psychiatry in the University of Pittsburgh. She has over 20 years' clinical and research experience of working with transplant surgeons and physicians in the Starzl Transplantation Institute. She was awarded the 2011 Research Award by the Academy of Psychosomatic Medicine and has focused on the natural history and management of patients with alcohol and substance abuse.